When approaching complex and large data migrations, usually the organisation’s database administrators get involved as well. With DBAs point of view being mostly data centric, the preferred approach is normally to understand Sugar’s DB schema, slice and dice the data, and finally migrate data from database to database. 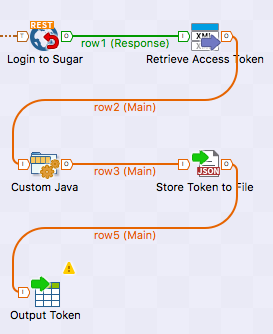 The challenge with this approach is that Sugar is not just a data placeholder, but a complex web based application where the application layer can have run-time interactions with the data as well (eg: by creating related entities wherever required, by communicating data changes to downstream systems like Elasticsearch etc.). Based on my experience, I found that direct database queries normally add too much complexity and unnecessary overhead to the project, by trying to understand in full and possibly re-build the application layer, to complete the missing actions after the actual data import. The next logical step is to look at the application’s provided RESTful API. When the amount of data starts to stretch import times with just the CRUD Sugar API, it is possible to enhance the rich Sugar framework with additional custom RESTful APIs that can help us with the import process’ timing. With the above points in mind, I went ahead and built a bulk upsert (update or insert based on the lookup unique key) tool for the SugarCRM Community to help with the import process and shared it on the SugarCRM Labs BulkImport git repository. The example can cover most use cases either with Sugar being the master of the imported data going forward, or with an external system still being the data master. To achieve the best throughput I recommend to disable all non business critical operations during initial data loads (eg: if not required on initial load disable all workflows, logic hooks and other synchronous actions). Take care of disabling all unnecessary logic that should not be triggered during data import such as new workflows, customer welcome emails, record’s assignment emails etc. This article comes to hearty as I work with are migrations, ETL, and data integrations. I work with Apache Camel for the routing and mediation. I have some burning questions that relate to the article. b) parallel /bulk operations. I find that the parallel bulk api fluctuates for some reason in performance. 2) With your bulkupserting does it have the capability to turn of activity stream and tracker while bulk upserting? This question kind of unrelated, but I would go crazy if you did a best practice on ETL and relating records. I am curious how you guys approach that. Whether its best to first upsert all the module records and then approach what records need to be related after all the module datasets have been sync’d. Thanks for reaching out on my blog! It really does depend on what you are trying to do and the specific scenario. You can execute parallel API calls with Sugar, for all the methodologies you mentioned above. When I have built the BulkImport API, it was not only to have maximum speed of operation, but also to facilitate the overall tasks of initial data load and ongoing data imports, while still performing all the framework specific actions. Yes, the BulkImport API has indeed activity stream record creation disabled by default. As tracker is disabled by default on Sugar, on my projects I tend to leave it disabled or recommend to do so, as it can be resource intensive. Based on your feedback I’ve just made sure it is disabled when leveraging the BulkImport API, if you do have it enabled (see: https://github.com/sugarcrmlabs/BulkImport/pull/14/files). In regards to relating records, with the BulkImport API you have as much flexibility as you need. You would have to find an approach that works best for you, to guarantee the shortest path to get the full dataset into the system. If the customer has the possibility of waiting, you could process all the inserts first, and then start processing all the relationships. Alternatively you would build the parallel steps to get the data required into the system, then complete some serial steps, and then some more parallel steps as you see fit. As an example you could start by importing Users (and setup Teams/Roles etc) by themselves first. Then start importing Accounts and Contacts in parallel (and maybe Products and all other modules that might come useful later, that are not related to Accounts or Contacts), and assign them to the correct Users with custom BulkImport api hooks. Once those objects are imported, you can start relating those objects between themselves, while in parallel inserting other main objects such as Opportunities. Then once they are completed, you can start another run of relationships and inserts in parallel, until you are done with all objects and relationships. You really have the possibility of mixing and matching parallel/serial, as long as you do not miss dependencies along the way, or do all objects first, and then all the relationships. That was well put. Based on the scenario of a heavy initial load, I would populate the modules first in parallel possibly, and then go back and related the entities. I want to start using your BulkApi and assist with PR’s. What I have done a little bit differently is establish a cache of external_keys and update the cache on the inserts for new records. I also thought it would be nice to relate Contacts to Account by sending an array of external_keys for Contacts (for example) and the external_key for the Account.